The Music of Machines: There are songs about cars. But are there any real car songs? 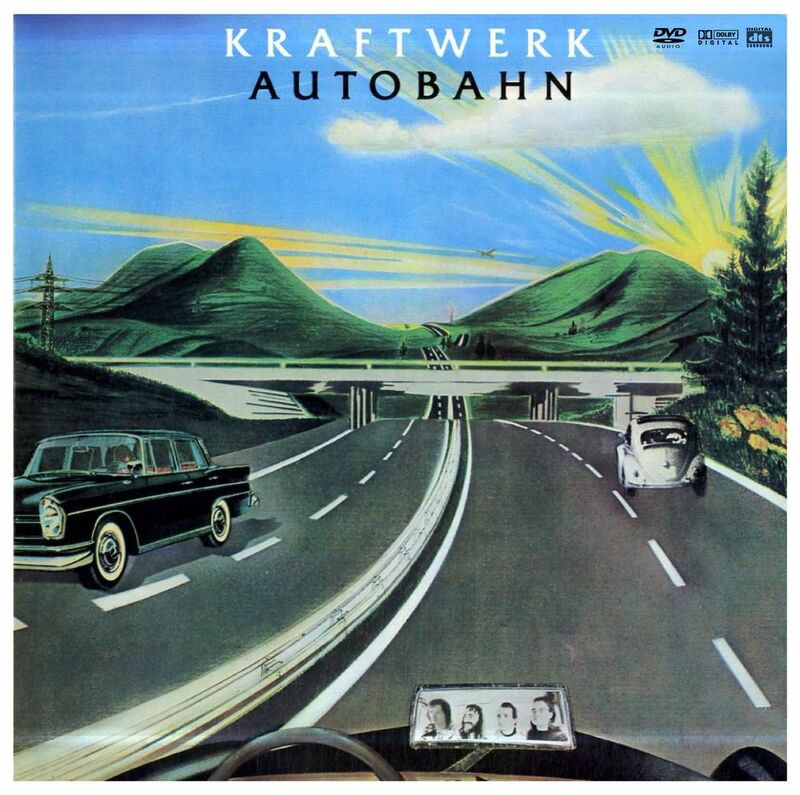 Kraftwerk’s Autobahn cover. Photo of author’s copy. Music and the automobile have always seemed to thrive together, back to the days when “In My Merry Oldsmobile” was a hit on the Tinpan Alley circuit. Cars were at the very birth of rock and roll itself, when Ike Turner and Jackie Brenston made their “Rocket 88” rhythm-and-blues track into a new form of music that has not yet seen its end. There was even one guy in the mid-’90s who recorded a folk CD entirely from within the confines of his Rambler sedan. Short of the occasional vroom vroom or honking noise for emphasis, though, cars themselves have made very little of the actual music in these so-called “car songs”—even though the average automobile is a goldmine of found sound. And I’m not talking about the random brake squeals, tire chirps, and exhaust blat that punctuate any number of car-themed songs out there. That’s been done to death, even by groups who don’t fit the traditional “car-band” role. Have you ever listened to all seventeen minutes of Autobahn by Kraftwerk? Machines have a rhythm: The repetitive nature of their function ensures it. Ignore the obviousness of the radio for the moment, and consider that within a single machine, the engine revs and changes pitch as the tach climbs, gears whirr and whine, exhaust notes rumble and raspberry. The whoosh of a turbocharger. The click of a lock. The metronomic tick-tock of a turn signal. Even the simplest door or hood slam can seem strangely percussive. That’s before we even venture into the horn, or the variety of tools we use to maintain and improve cars. All of these are part and parcel—the personality—of a particular car. My Dart did not sound like a Corvette, or a Mustang, or any other car, save perhaps other ’60s Mopars. It chugged along to its own rhythm. Where there’s sound, there’s music—and in an automobile, those sounds are not hard to find. Rather than laying sound effects over a song that could otherwise get along just fine without them, the sound elements could be the song. Run all of the noises through a sampler. Build a beat using slammed car doors and trunklids. Make a melody using warning chimes and tire squeals. It’s entirely possible; technology has made it so, and arguments for electronic music not having heart, soul, meaning, depth, etc. have long ago been dismissed. There is already a title for the sort of music I’m suggesting: “industrial.” For anyone in the ’70s who thought punk was disgraceful noise, industrial was off the charts. Combining sounds made from found objects being manipulated and smashed together—chainsaws, panes of glass, 55-gallon drums—and elements of “musique concrete,” bands like Throbbing Gristle (who actually coined the term industrial) and Einstürzende Neubauten dominated the underground scene. It was music for an increasingly mechanized society, man being replaced by machines and the decay of civilization as we knew it—and about as far away from the Beach Boys, both musically and conceptually, as you could possibly get. Thus, we have both the musical precedent (four decades’ worth—in car terms, old enough to be “classic”), the instrument (a car), and the technological means to sample the sounds and manipulate them into a single, anthemic tune. But has anyone bothered? Surely there is A.) room out there for real live car music to be created, and B) a way for the enthusiast to collectively clutch such a notion to his or her bosom. There have been some efforts; Top Gear’s former host James May trying to cover The Allman Brothers’ “Melissa” (the instrumental track played over the opening credits of the show) with a variety of sampled car-engine sounds. A few years ago, there was a viral MP3 of a small-displacement, multi-cylinder engine on a dyno with an electronically controlled throttle, playing a song as well (I want to say it was “Flight of the Bumblebee,” but I’m not certain). Cars have long been the inspiration. When will they provide the instrumentation?